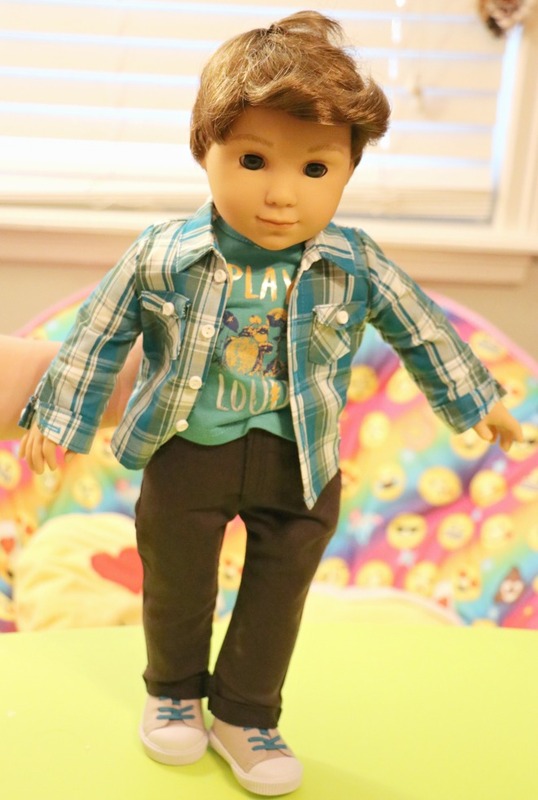 Meet American Girl Boy Doll Logan Everett, American Girl’s first ever boy character doll. I guess you can call Logan Everett an American GirBoy doll, and he is super cute! 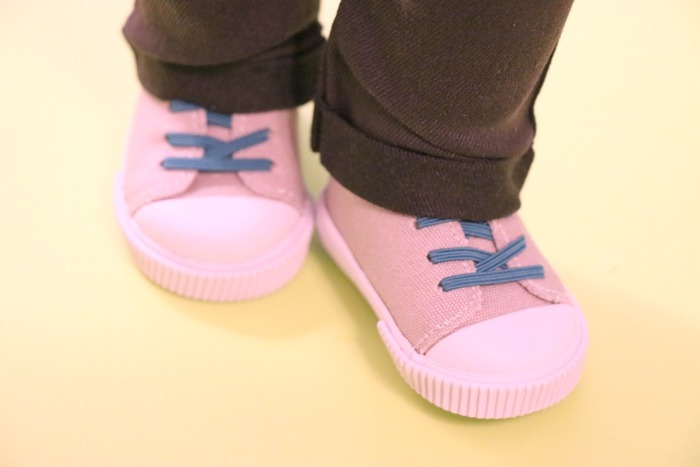 When we first heard that American Girl was creating a boy doll not only was my 9 year old daughter over the moon with excitement, I was pretty happy myself. It’s nice to see a variety of dolls from American Girl doll. We are a huge fan of the American Girl brand. Not only are their dolls adorable but they have meaningful and inspirational stories behind them. It’s nice to have dolls that kids can relate too. So back to Logan. Logan back story is that he lives in Nashville and is part of a band duo. 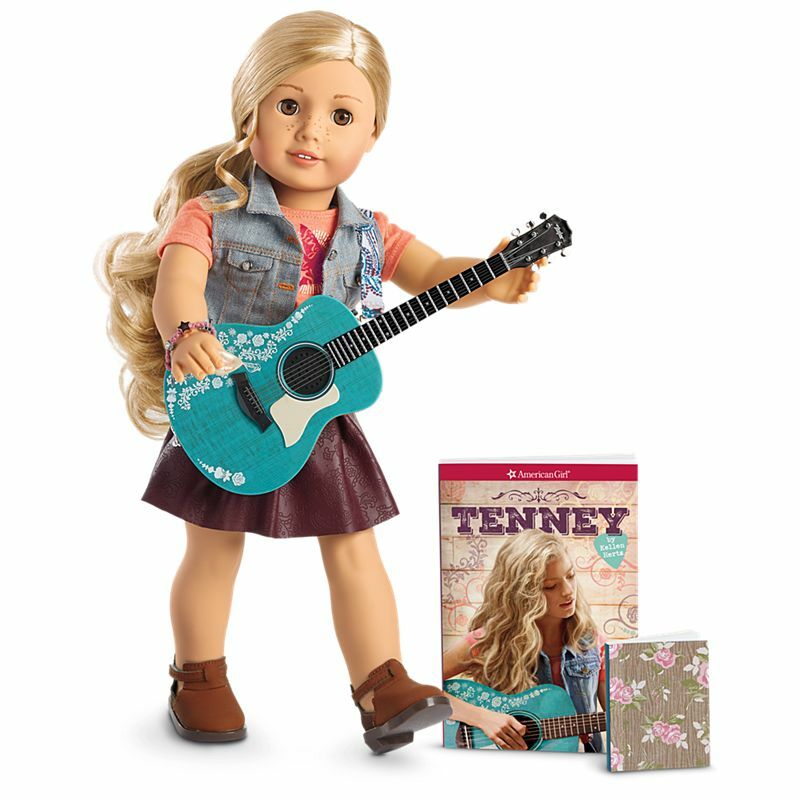 He is the bandmate of Tenney Grant who is another American Girl doll and just as cute. I love story line that comes along with Logan. He is a 14 year old boy who lives in Nashville and plays the drums along side Tenney Grant. 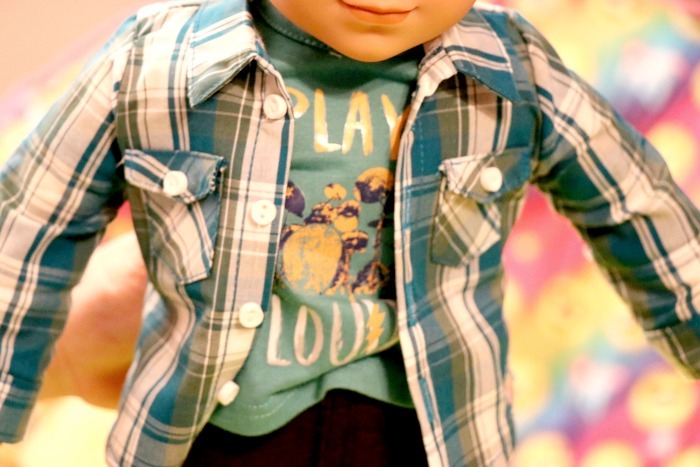 The 18″ Logan boy doll has gray eyes that open and close, and short brown hair. I just love his hairstyle! It’s really adorable. When Logan arrives he will be fully dressed from head to toe. He has a plaid button-down shirt, with a T-shirt underneath, jeans, underwear, and shoes. My daughter loves those shoes. One of the coolest things about the Logan doll is that he also has a unique hand positioning which helps him to hold instruments! We don’t have any of the Logan Everette accessories yet but hope to get some soon. Overall I would say that if you are thinking about purchasing Logan Everett, DO IT! He is adorable and one of a kind. 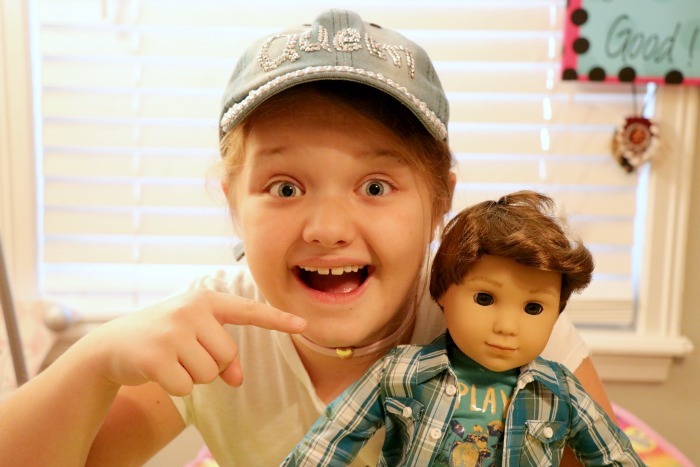 You can learn more about the American Girl Boy Doll, Logan Everett by visiting Year American Girl online. *I received this product free of charge in exchange for my honest review. I think it’s great that American Girl now has a boy doll. And I’m partial to the name Logan since that’s my son’s name!